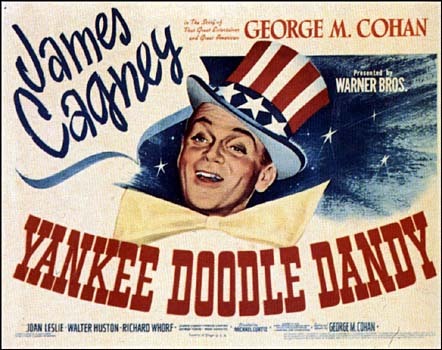 Yankee Doodle Dandy – Did You See That One? George M. Cohan (Cagney) has spent a life in the theater. Throughout his career, Cohan sang, danced, composed, and acted his way to stardom. This is a Best Picture nominee and a classic American musical, directed by the talented Michael Curtiz (Casablanca). The screenplay came to life at the hands of a small group of credited and uncredited screenwriters. This group included Robert Buckner (Dodge City), Edmund Joseph (Sing Your Way Home), Julius J. Epstein (The Last Time I Saw Paris), and Philip G. Epstein (Arsenic and Old Lace). 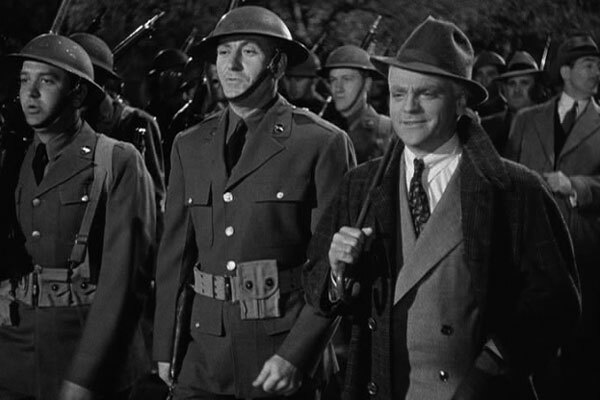 The cast features the wonderfully talented and diverse James Cagney (White Heat). The cast also includes Joan Leslie (This Is The Army) and Walter Huston (The Treasure of the Sierra Madre). This is a wonderful story, told with the richness of the old Hollywood musicals. The story is filled with wonderful dialogue that goes perfectly with the tone of the story. In addition, the music works itself into the movie without being overdone. 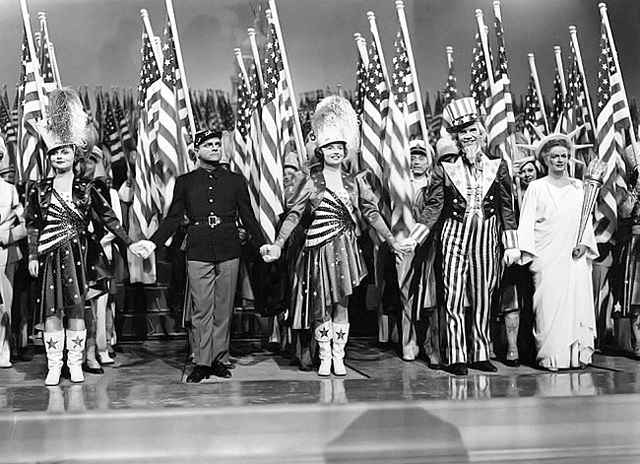 The characters all have great individuality, creating a unique version of the world of Vaudeville, and later, Broadway. This story does everything I hoped it would, and more. For his work, Robert Buckner was nominated for an Oscar for Best Writing. The acting in this movie is also wonderful. 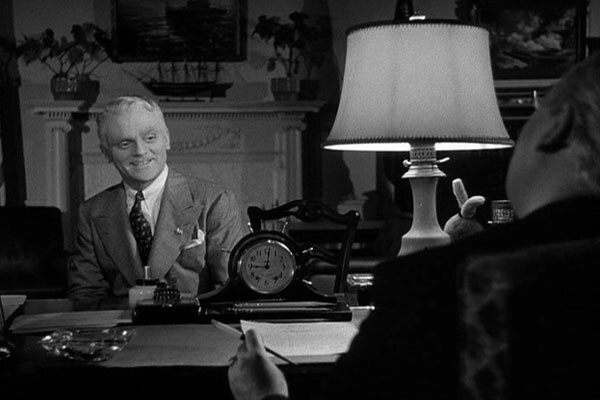 James Cagney takes center stage with an energetic and emotional performance. 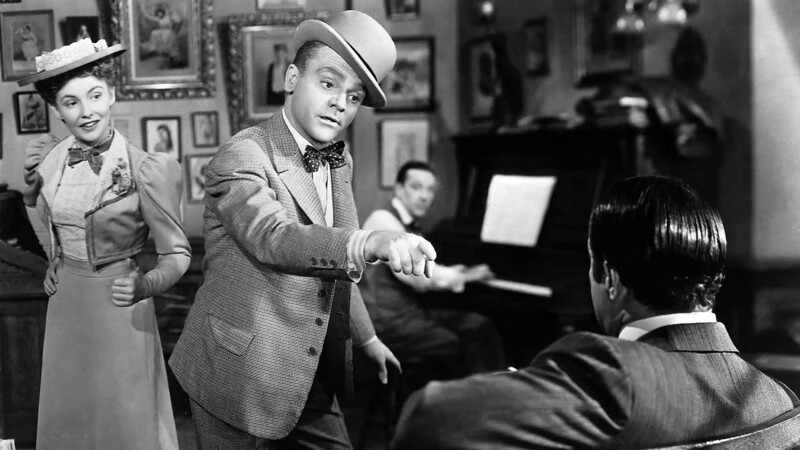 In addition to great acting, Cagney also delivers with his singing and dancing. This is a clear example of how great he was. He shares the screen with a number of talented actors as well. Joan Leslie is great in her role as the young starlet who becomes Cohan’s wife. The role of Cohan’s father is also nicely done by the talented Walter Huston. 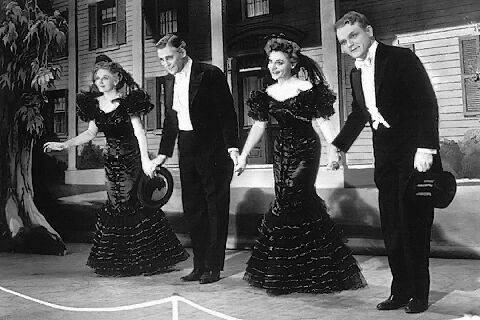 James Cagney went on to earn his only Oscar, for Best Actor, for his work on this movie. Walter Huston received a nomination for Best Supporting Actor for his part in this one as well. Overall, the cast was chosen wisely and features a number of talented people who drive the story forward nicely. The music is one of the major stars of this show. Much of the film features music written by George M. Cohan. These songs are wonderfully composed and add so much to the film. This addition to the film paid off. The movie won Oscars for Best Score and Best Sound Recording. The visuals in this movie are another great aspect. The cinematography seems to capture the essence of the era. The set design and costuming definitely add to the authenticity of the film. The film also earned an Oscar nominated for Best Editing. Overall, this looks as good as it sounds. Every aspect of this movie seems to work almost perfectly. This is a wonderful example of a classic musical. Michael Curtiz earned a nomination for Best Director for his work. In total, this movie earned eight Academy Award nominations, and won three. Fans of musicals should make sure to see this one. It also has repeat value, so make sure to check it out if it’s been a while. I would also recommend this to fans of James Cagney. This is one of the great performances of his incredible career. I give this one 5 out of 5 stars. Pingback: Christmas Classics: White Christmas | Did You See That One? Pingback: Sweet Smell of Success | Did You See That One?